Ingvild Langgård is a composer, musician and sound artist, educated at the Academy of Fine Art, Oslo. Langgård composes and performs sound and music in different media, such as live performance, sound installations, and music for for stage, ensemble, and film. Under the name Phaedra, Langgård has released two albums, The Sea (2011) and Blackwinged Night (2015), on the Norwegian avant garde label Rune Grammofon. Langgård´s latest production in collaboration with Signe Becker, NEW SKIN, a piece in between concert, installation and stage performance, premiered at the Ultima Festival for Contemporary Music 2018. It was also selected for the Heddadagene theatre festival in Oslo, and the 4+4 days in motion 23rd International Festival of Contemporary Art, Prague, 2018. THE SOUND OF SUPER POWERS PART 1, for the percussion trio PINQUINS was commissioned by and premiered at the Borealis Festival 2018. The performance STILL LIFE for choir and 6 dancers, in collaboration with choreographer Rosalind Goldberg and scenographer Signe Becker, was comissioned by and premiered at ANTI – Contemporary Art Festival 2018. Kuopio, Finland. 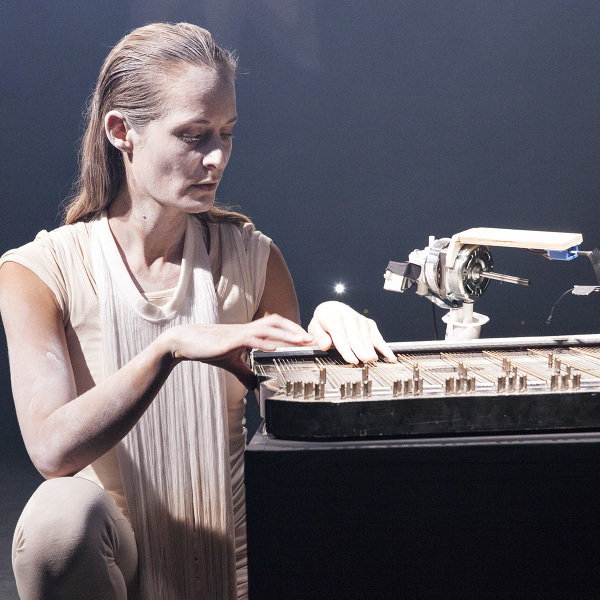 Langgård has collaborated with choreographer Ingri Fiksdal and scenographer Signe Becker in several projects for stage, such as Cosmic Body, Night Tripper and The Orchard Ballads. These pieces have toured internationally to Chicago Contemporary Art Museum, Portland Institute for Contemporary Art (US), Contemporary Arts Center Cincinnati (US), brut-Wien (AUS), Kampnagel (DE), BUDA (BE), MDT (SE), Nordwind (DE), Baltoscandal (EST), Inkonst (SE), In Between Time (UK), ANTI festival (FI), LIMIT Festival (RS), Tanzhaus NRW (DE), Black Box Teater, BIT-teatergarasjen and Teaterhuset Avant Garden. Her artistic works and live performances are shown in museums, galleries and venues such as The Astrup Fearnley Museum of Modern Art, Kunstnerforbundet, Lydgalleriet, Pulse Art Fair and the Armory Show (US), the ØYA Festival, Moldejazz, Oslo Jazzfestival, The Munch Museum and Henie Onstad Art Centre. Langgård co-founded the artist run gallery REKORD with Thora Dolve Balke and Eirin Støen in 2006, which was awarded Ny Musikk´s Pauline Hall Price 2009 for their work supporting new music in the Norwegian public. Langgård has been awarded several grants for her work, such as the Norwegian State´s Working Grant for young artists and Ingri Lindback Langaards Fund.